So you are finally getting that new living room or dining room set you have been longing for. It will be arriving in a day or two and now you have to get rid of all the old furniture to make room for your new furniture. While some of that old furniture may no longer be useful, other pieces may still have a lot of life in them and could benefit other people. Making arrangements to recycle the good and have the bad furniture disposed of takes time, effort and can be a little bit overwhelming for most people. Wouldn't it be nice if you can have all of furniture removed by the same company for one flat rate price and have them recycle the good furniture for you and dispose of the furniture that is no longer useful? Now you can when you hire Flat Rate Junk Removal to take care of all of your furniture removal needs. 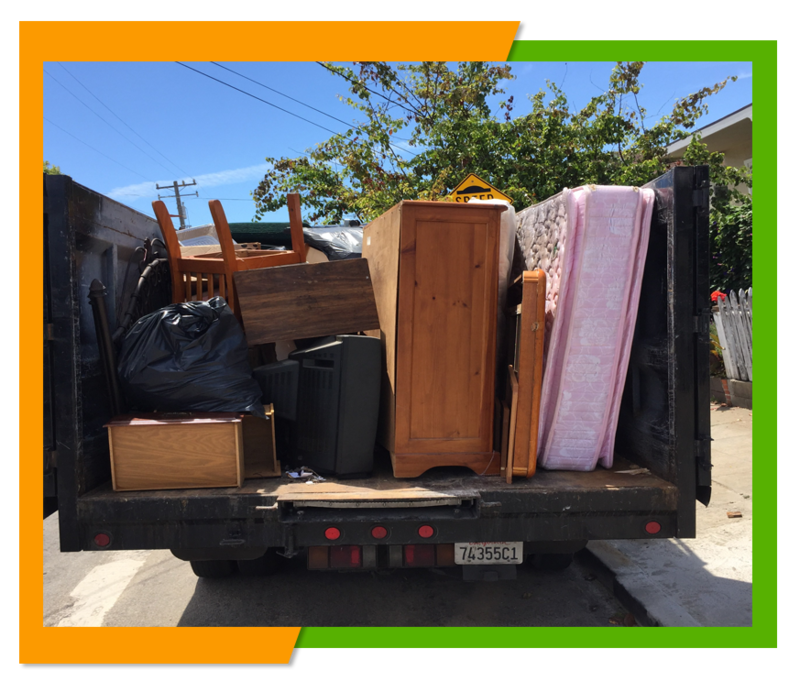 All you have to do is make one simple call to Flat Rate Junk Removal and arrange a time and date that is convenient for you to have us pick up your unwanted furniture. When we arrive you simply point to the furniture you wish to have removed and we will remove it for you and clean up the space where the furniture was. Any furniture that is still in good or usable condition, we will recycle and dispose of those furniture pieces that are no longer usable saving you time and effort and the frustration of dealing with recycling centers. Unlike many other junk removal companies we don't charge you extra for any recyclable items. We take care of all that for and simply charge you one flat rate for removing all of that unwanted furniture. You will never be surprised to discover any extra expenses tack onto bill, the estimate we give you is exactly what we will charge per load. We believe in fiscal transparency when it comes to our customers and do everything we can to keep our rates reasonable and fair. Here at Flat Rate Junk Removal we provide both residential and commercial furniture removal, no size load is too large or too small for us to handle. Our 24 cubic foot trucks have plenty of space to handle any size of furniture and our two men crews have the experience and tools to remove any piece of furniture regardless of size. Most of our customers want to know the price of our services right up front, which is why we offer a free estimate. If you would like a free estimate for the removal of your unwanted furniture we will be happy to send someone out to look over what you want hauled and give you one flat rate estimate for removing that furniture. 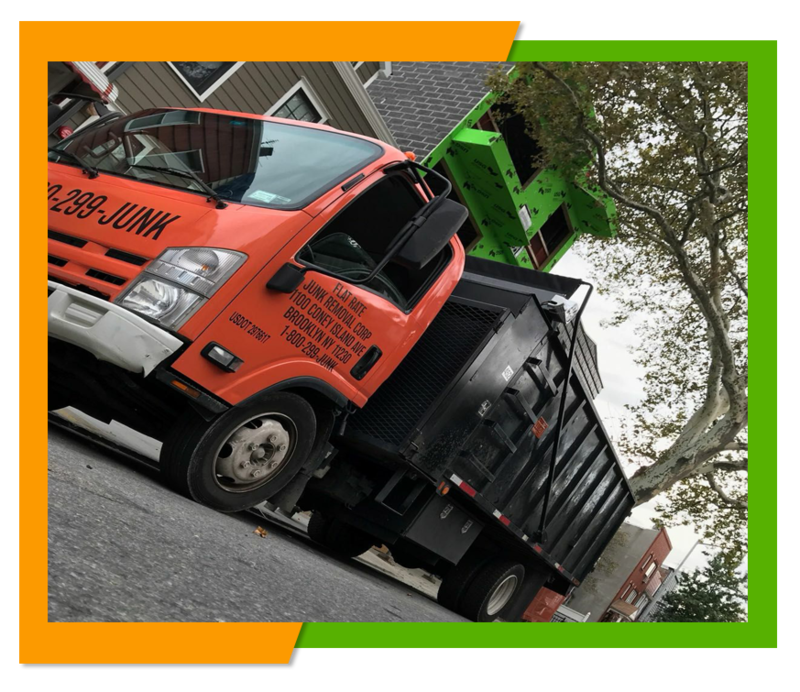 To schedule a free estimate or a furniture removal appointment for Long Island and the surrounding boroughs then give us a call at 1-800-299-5865.